Almonds helps keep the skin healthy. 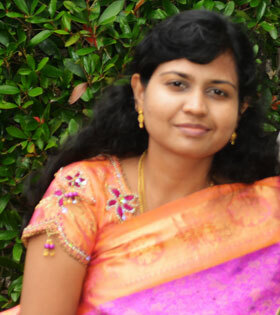 They also help to regulate blood pressure. Almonds lower the blood sugar while taken(1 to 3oz.) after meals. While searching for the benefits of almonds also came to know that it has many health benefits including reducing the risk of heart attack and also aids in body weight loss. Eating small quantity everyday will give you the above said benefits. 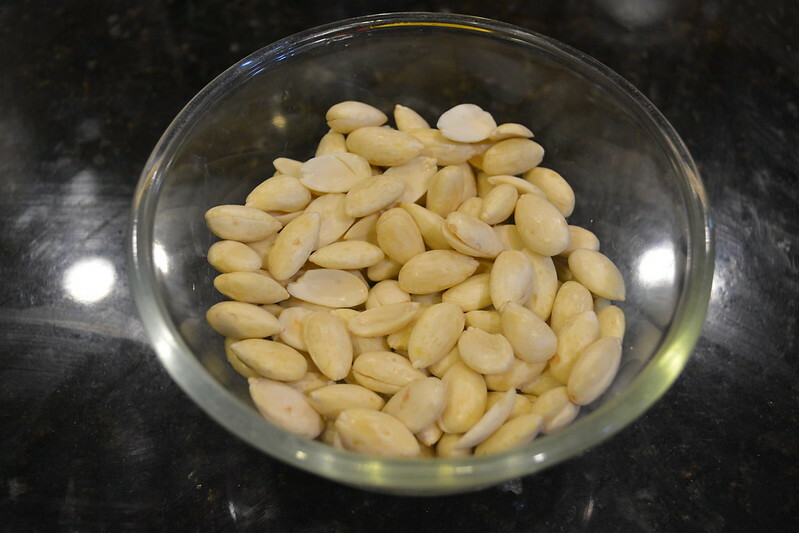 So let's see a recipe with this great almond. The recipe is shared by one of my friend(Janet). 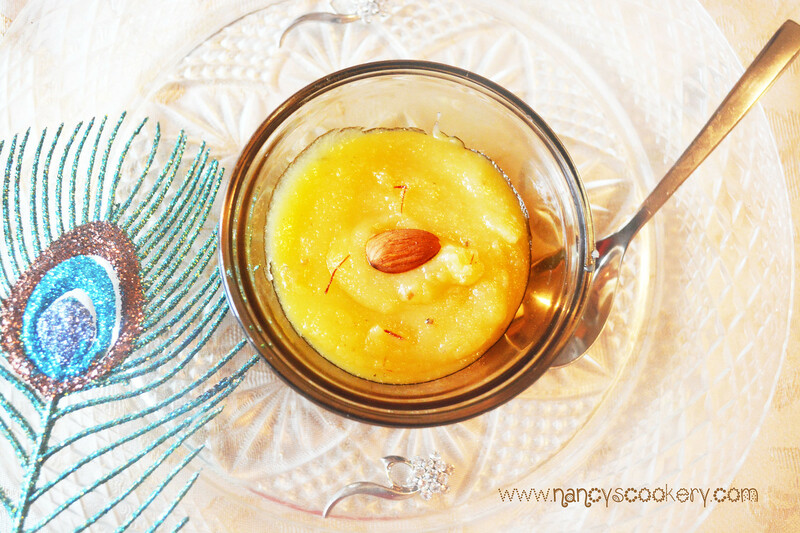 She made this badam halwa and I tasted it. This was really delicious and you will like it too. This is very healthy dessert for kids too. They would love this. 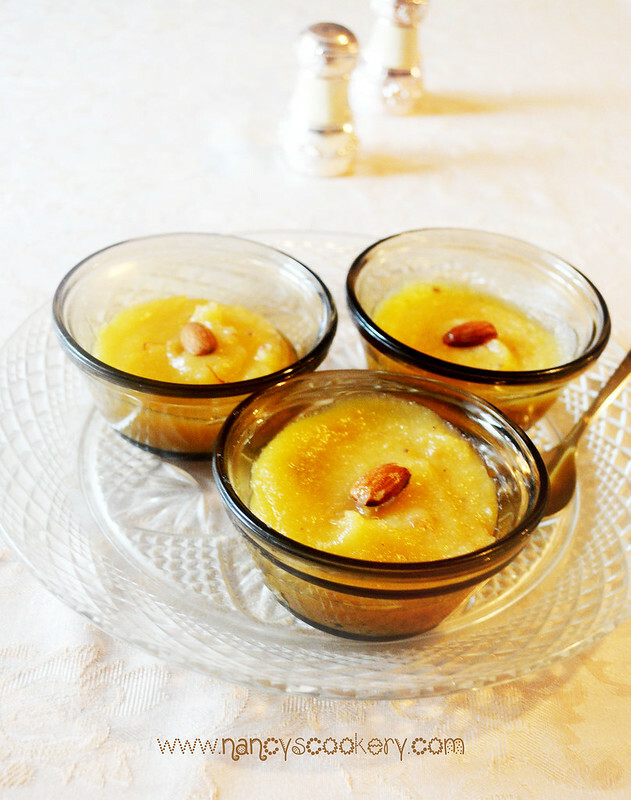 Sometime I'll try to post Cashew Badam Halwa recipe. Cardamom seeds/ Powder - 1/4 tsp. 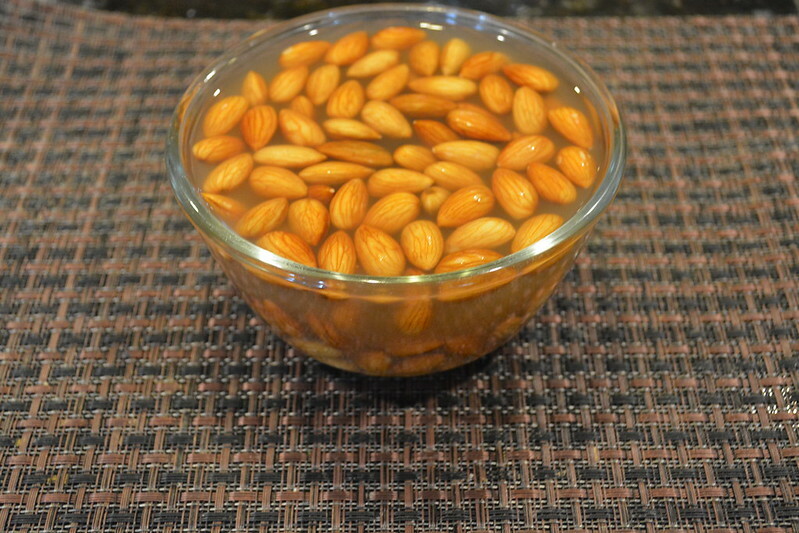 Soak the almond for four hours and peel the skin. 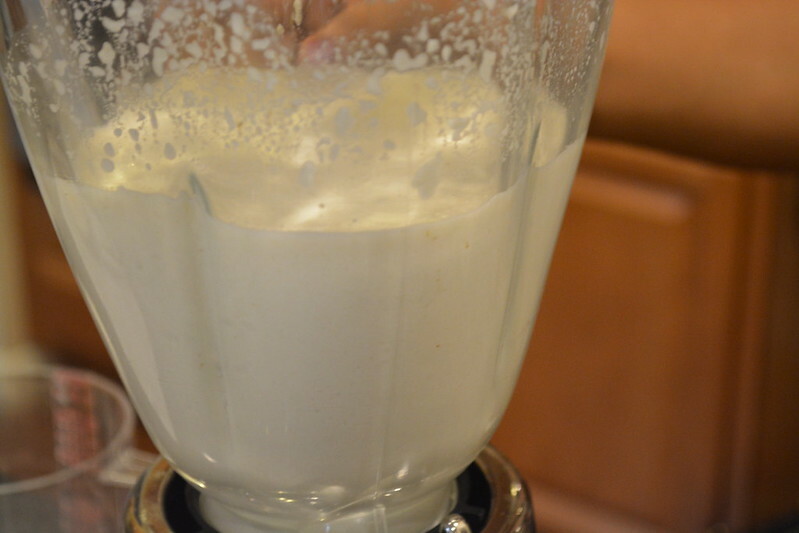 Put peeled almond and milk in a blender and blend until it is well blended. 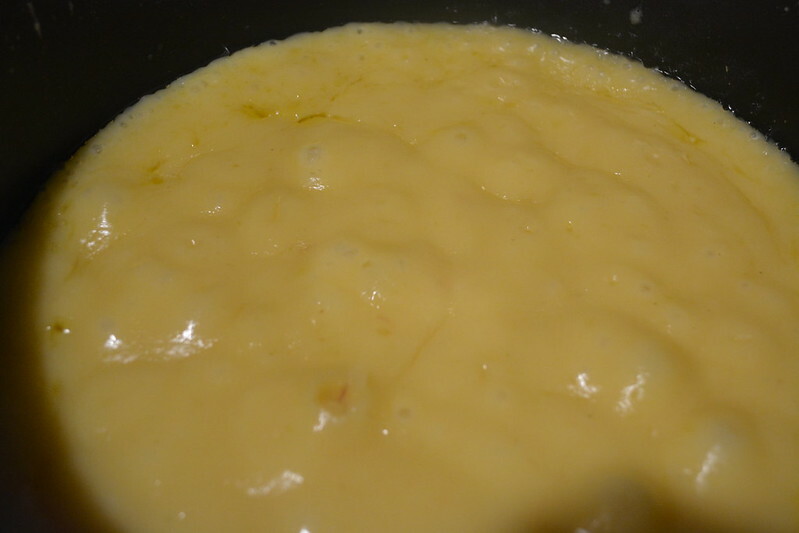 Now add almond paste in a heated pan. 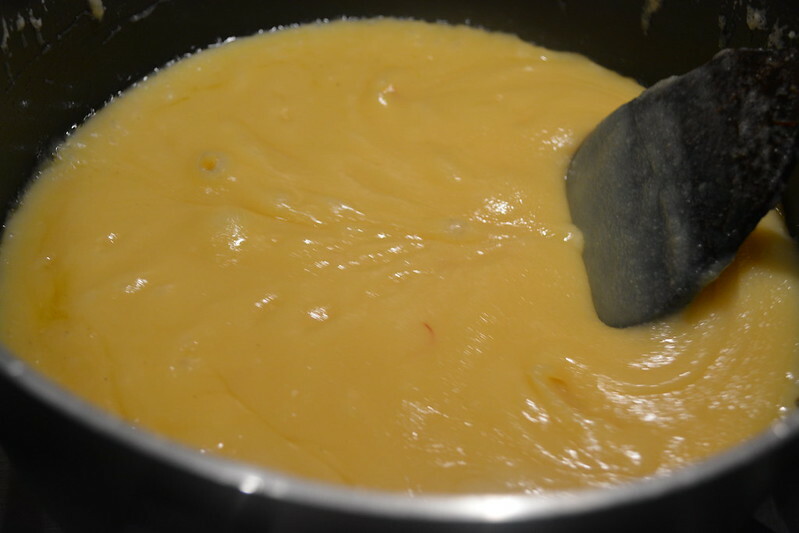 Non-stick pan is preferred. 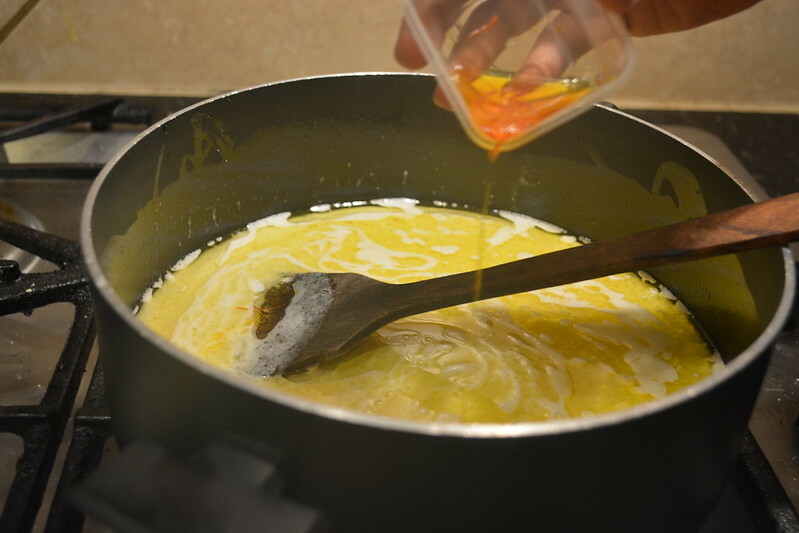 Then add ghee and sugar immediately in a series with almond paste (Add almond paste, ghee and sugar in one go). 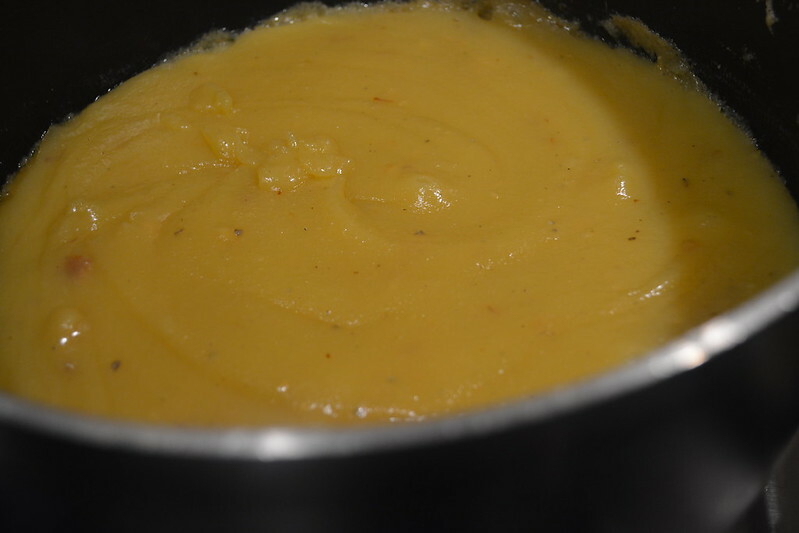 Then add yellow food color, saffron strands(soaked in water for 10 minutes) and cardamom if using. Keep stirring and in certain point, the mixture will start to boil with bubbles. This is called volcano stage. 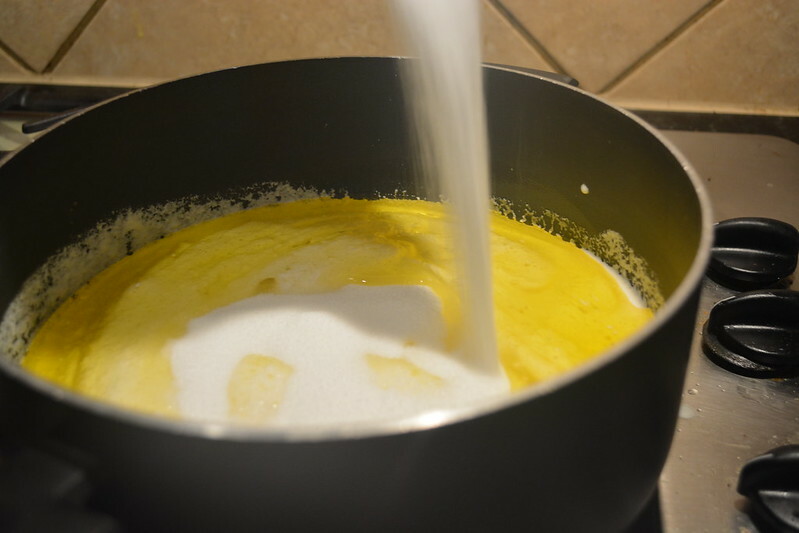 When it stops boiling, the volcano(bubbles) is stopped, remove the pan from heat. 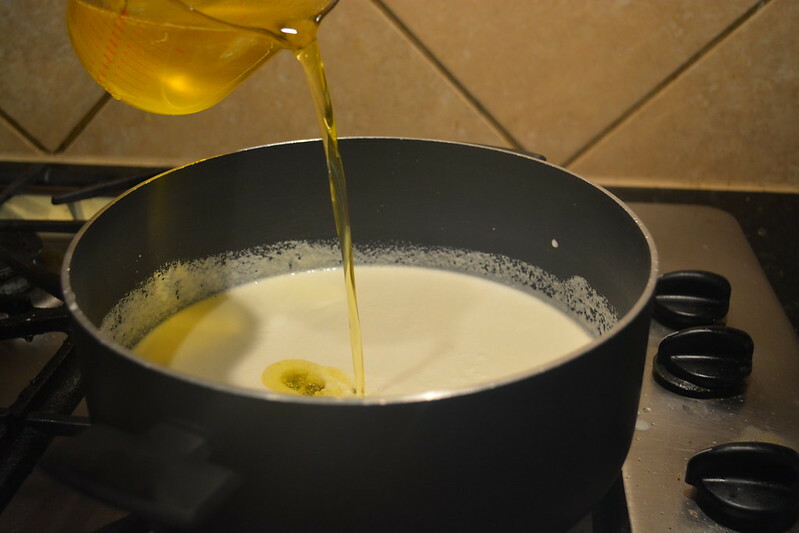 You can make this with less amount of ghee. 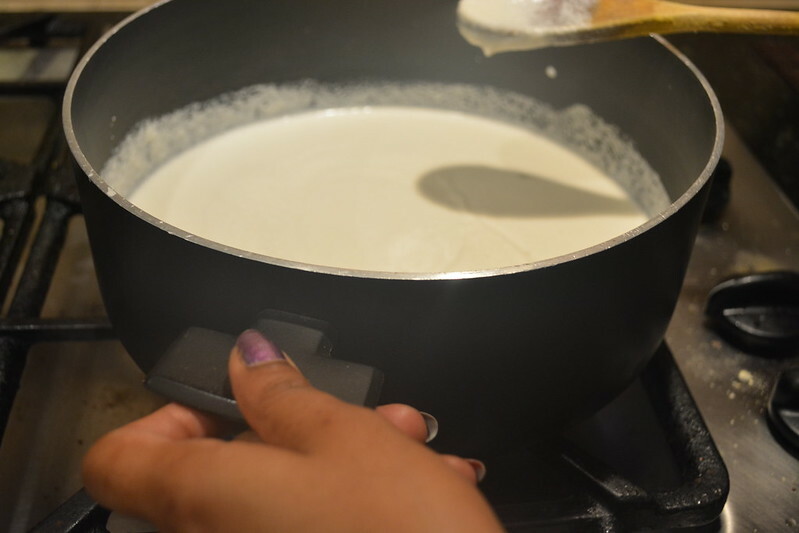 You can also reduce the quantity of milk by replacing it with equal amount(equal to milk reduced) of water.